You will notice that we offer STUDY PLANS for each of the designs shown on our web site. We have spent THOUSANDS of hours preparing these STUDY PLANS � We GUARANTEE your satisfaction. The STUDY PLANS are prepared on LARGE SCALE SHEETS � When you print you can print at 36�x 24� / 914 mm x 610mm or you can print on your office printer is part or in full. THE SUPER STUDY PLANS ARE STEP BY STEP LARGE SCALE PLANS & DRAWINGS & STEP BY STEP CONSTRUCTION PHOTOGRAPHS; see below for details. You can translate the text from the study plans into your own language using GOOGLE TRANSLATE https://translate.google.com/# You can also translate this page using the same google translation program. 1: REFUNDS AVAILABLE: If you purchase STUDY PLANS and they are NOT as we have presented them then we will REFUND THE PURCHASE PRICE on request. 2. EXTRA DISCOUNT: If you order the STUDY PLANS and you later go ahead and order the complete plans then we will allow you the FULL PRICE you paid for the study plans off the cost of the COMPLETE PLANS & PATTERNS or CUTTING FILES. 3. COST OUT THE ENTIRE PROJECT: These STUDY PLANS are intended to allow you to COST OUT THE ENTIRE PROJECT before you commit to the complete PLANS AND PATTERNS / CUTTING FILES PACKAGE. * Full and FREE access to one of our design staff � usually Bruce himself � who is always willing to answer as many questions as you may have after you have received the STUDY PLANS. * You will receive a FREE copy of our 1,200 PAGE BOATBUILDING BOOK that is appropriate to your interest � Sailboats, Powerboats, Catamarans, and Work Boats. * Photos of the COMPLETED boats on the water. * Photos of the interiors of your chosen design. 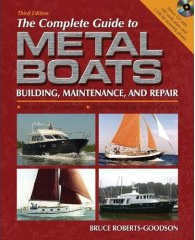 * STEP BY STEP Photos of boats under construction. * Plans of the interiors with plan and profile views shown. * Deck plans and deck layouts. * Usually more than one set of accommodation plans. * All available sail plans for sailboats. 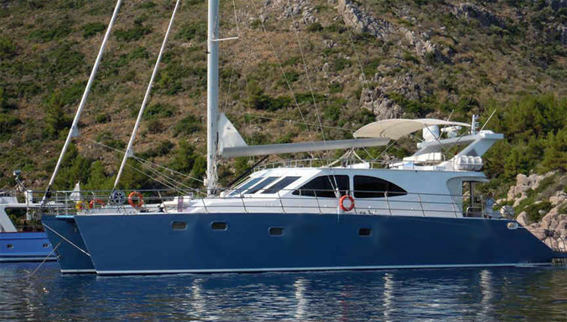 * Displacement, semi-displacement and planning hulls included as appropriate to your chosen design. * Lay out drawings of various configurations available. * Many sheets of the actual plan drawings ... most of the boat plans are included in the package. * Many sheets of construction drawings. * Examples of the plan drawings ... FOR ALL MATERIAL OPTIONS. * Materials lists FOR ALL AVAILABLE MATERIAL OPTIONS. * Structural cross sections examples from the boat plans. * KITS have an estimated time for construction in man hours. * THESE STUDY boat plans include BOAT & KIT ASSEMBLY PHOTOS. * These STUDY PLANS are intended to allow you to COST OUT THE BOATBUILDING PROJECT!!! COMPLETE PLANS & FULL SIZE FRAME PATTERNS. CUTTING FILES ARE COVERED AT THE END OF THIS DOCUMENT. Our complete plans, full size frame and stem patterns package is designed to enable any person with average hands-on-skills to build the boat simply by following the plans step by step instructions plus when necessary contacting our design office with questions which are answered within24 hours. The plans and patterns package contains the following sheets of drawings and building instructions. PLANS & FULL SIZE PATTERNS. With the advent of modern computer yacht design we have been able to offer the complete plans by DOWNLOAD or on USB memory card. The benefit of receiving you plans and full size patterns in this way is that you can have as many prints made of each sheet as you may need. For instance if you are looking for quotes on either having the hull built or quotes to purchase the basic building materials or some piece of equipment or quotes for mast and sails; all these suppliers want to see the plans. You will find that having the ability to have the plans printed locally will offer many advantages during the building program. 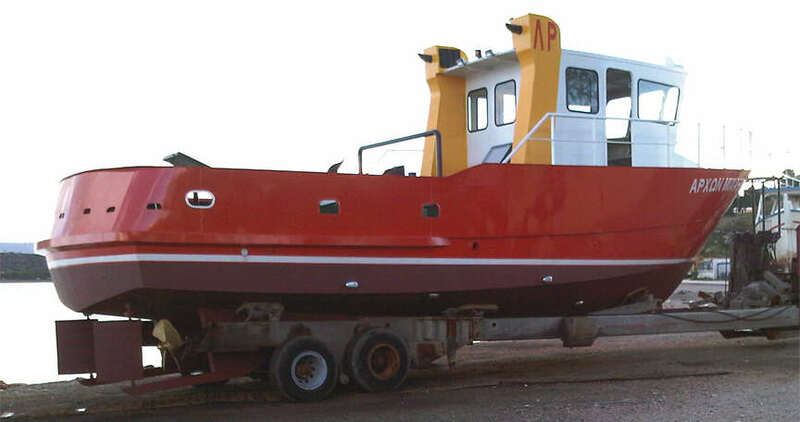 Also the designer will supply photos of similar boats under construction and other illustrated and printed material that will assist you to better understand the plans and the boat building process in hand. Most plans are now DOWNLOADED direct to your computer thus giving you VERY fast & secure delivery. The example of the boat plans as listed below are for you to custom build your boat from 'Scratch'. To be more specific; using the boat plans shown below and a collection of appropriate materials you build the boat from basic materials. You make the frames from the patterns supplied and then there is a clearly shown step by step process as you proceed to build and complete the boat. As mentioned earlier you plans can arrive as printing files delivered by DOWNLOAD or on a USB Memory Card. You will receive the latest updated version of your selected boat plan, this is only possible when you order your plans direct from the designer. You will receive many construction sheets, which include copious written notes as well as the detailed drawings necessary to build all parts of your boat. 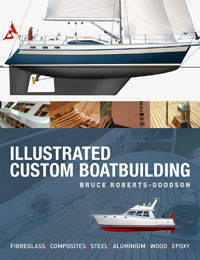 Over the past 40 + years, 40,000 boats have been already constructed to Bruce Roberts designed plans and on the Bruce Roberts web site http://www.bruce-roberts.com/BOAT_PLANS_NEW_DESIGNS.htm you can read hundreds of comments, experiences and advice from previous builders, this is intended to give you confidence to build your own boat. Below is listed what we consider to be a complete set of plans and full size patterns to enable you to build your boat with the minimum time spent in doubt as to how and what to do next! Sheet 1A. (There may be several sheets covering various versions of the same design). These sheets cover the boats general arrangement drawings, profile and plan views of the hull, the deck and superstructure plus the deck plan. In the case of sailboats, the sail plan and measurements are included on these sheets. Sheet 1AA. (There may be several sheets covering various versions of the same design). The boat accommodation laid out and shown in plan and profile views. The several versions of the one design are shown on separate sheets. Also included is a list for all the materials needed to build the hull deck and superstructure. In the case where the boat can be constructed of a variety of materials, these are all listed to allow you to cost out the boat in each material. Sheet 2. Boat Lines plan, show hull sections, profile including all water and buttock lines, plan view including all water lines and buttock lines. All frame spacing, stern or transom detail, keel measurements, rudder and skeg should all be included and all dimensions are clearly shown. Sheet 3. KEY TO FULL SIZE PATTERNS: This sheet will be a drawing, representing what you can expect to see when you lay out the full size boat hull frame and other patterns. We call this sheet the key to full size patterns; it acts as a key when arranging the hull patterns and will enable you to readily understand just what the patterns contain. This sheet will help you to resist the temptation of trying to lay out the patterns on your living room floor. Wait until you have acquired the building space and lay the patterns out in a suitable area ! Sheet 4. On this sheet you are shown how to manufacture and assemble the frames, plus form up the stem and other parts of the basic framework. This sheet also shows how to set up all these items on a strong-back or a system of bed-logs. The above forms the shape and base for the frames which and shape of your hull. On a personal note � Believe me you will have great excitement when you see the frames and stem erected on the strongback � this is one of the many way-points that are most satisfying when you are building your own boat. Sheet 5. This sheet will show the installation of the stringers and deck shelf plus installing the plating in metal boats. In the case of radius chine boats additional information is supplied on installing these plates. Assuming you are building up-side-down, this sheet will show the turning over process. Sheet 6. Now the boat is upright, this sheet covers the inside of the hull, and shows the installation of the floor webs, bulkheads, engine beds, and all the interior stiffeners for your boat. Sheet 7. This sheet may show detail of the various items not covered in sheet 6. Often it takes two or more sheets to cover webs, bulkheads and some of the interior joinery. Sheet 8. This is the engineering sheet covering the engine installation, locating and building the fuel and water tanks plus making the rudder. Also included are details on making the stern and rudder tubes plus propeller shaft detail. Stanchions swim platforms and similar items may also be on this sheet. You may note that much of the above work can be completed before the deck and superstructure are in place. It is far easier to install the heavier items such as the engine before the �top� goes on. Individual builders will have a preference in this regard. Sheet 9. This sheet shows details and the forming and installation of deck beams, side decks, foredeck, aft deck, cockpit construction and all deck framing as detailed for your particular boat design. Sheet 10. Patterning and making the cabin sides cabin front etc. In the case of the cabin sides the measurements should be adequate to enable you to make up a plywood pattern and trial fit before cutting the actual cabin side plates. The installation of the cabin top beams and final planking / plating is covered on this sheet. Sheet 11. 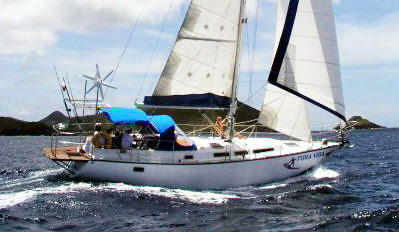 This sheet covers such items as, deck fittings, rudder construction and installation etc. Sheet 12. Electrical schematics. This sheet shows an electrical layout that will be adaptable for your boat. Sheet 14. Exhaust systems. The complete exhaust system will be fully detailed in the plans. Sheet 15. Fuel, Fresh water, Grey water, Black water Tank construction and installation in your hull. Sheet 16. Anode sizes and placement. This sheet shows the selection and layout of the anodes that will be needed to protect your propeller and other underwater hardware of your boat. Sheets 16 to 23 ...Full size patterns, A, B, C, D, E, F, G & H. These are the pattern sheets that are laid together wall-paper fashion. The full size pattern sheets contain details of all frame shapes, stem, deck and cabin top cambers etc. Sheet 24. DINGHY PLAN, including FULL SIZE patterns to enable you to build the BRUCE ROBERTS TENDER in aluminum, fiberglass or plywood is included with all plans. A 2,000 Page BUILD YOUR OWN BOAT which is an e-book with STEP by STEP building instructions and PHOTOGRAPHS to show you how to BUILD YOUR BOAT. The price of the plans includes as much consultation with the designer as YOU feel necessary to help you successfully complete the project....the offer 'CALL BRUCE ANYTIME' is not made lightly. You can CALL OR EMAIL BRUCE ANYTIME for advice on your boat building project. Many of our STEEL & ALUMINUM designs are available with CUTTING FILES � This means that you can take the actual AutoCAD CUTTING FILES to a Cutting Shop and have the entire boat cut out ready for you to assemble on your building site. All parts numbered with cross reference marks and lines to match up as you follow the step by step photos and written instructions and weld the entire hull decks and superstructure of your boat into one unit ready for fitting out � a great system that has only been available for the past 20 odd years. We use the design criteria in accordance with Germanischer Lloyd for category 1 (unrestricted sailing area), which is much better than what CE-A (Europe) and other Classification Societies require. Each set of cutting files comes complete with 15 � 20 sheets of detailed assembly drawings with written instructions and check measurements (Both Metric and Imperial measurements are included) for assembling each part of the kit. The drawings cover assembling the frames, setting up the building jig (included in cutting files) on to I beams or similar base. These extensive and complete drawings take you right through the welding up process and completing the vessel from start to finish. Also are included several sheets of detailed engineering drawings that cover the installation of the main engine(s), take home engine (if required), generating set, exhaust systems, fuel systems, fuel and water thanks etc. When you use our cutting files ... All plate parts belonging to the hull, deck and superstructure that will be accurately cut to size are included in the cutting files. The programming includes that the parts are marked with the appropriate part number and engraved matching marking lines to assist in the assembly and location of the part in its position. We recommend.... The cutting method of Plasma / Oxygen, ensuring highest accuracy and smooth edges, we also recommend that the plate parts are cut from Lloyds approved A Grade Shipbuilding quality ALUMINUM (as appropriate for aluminum designs) or STEEL (As appropriate for steel designs) that has been coated with factory applied Sigma weld MC welding primer. We also recommend that the steel plate has the official designation ISO standard 10474 or EN 10204 with 3.1.B certificate. If you cut locally we recommend that you use A36 / ABS GRA is the preferred steel quality which is equivalent to the ST37 Grade-A, if above steel not available. If you are building in Marine aluminum then please contact us for local quality and product numbers that may apply to your area. 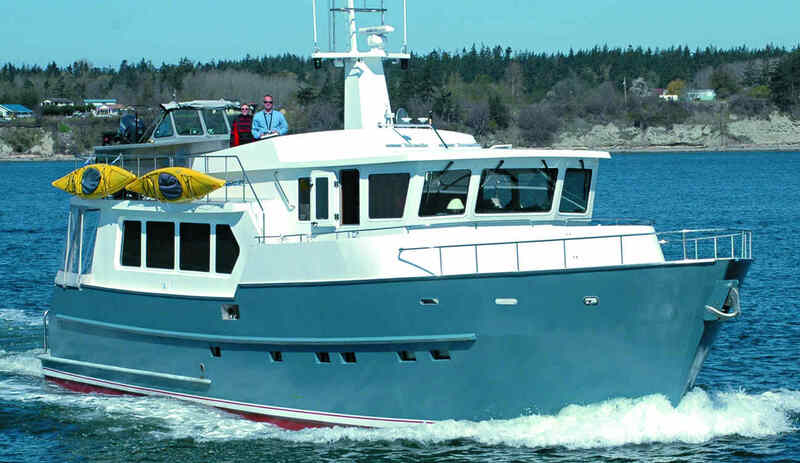 The cutting files lists include all framing, stringers, engine beds, 'T' sole bearers, deck beams, deck stringers, all exterior plating, plus 3 main bulkheads & stiffeners are included. In the case of radius-chine hulls, the programming is included so that the radius plates can be rolled to the perfect shape and NO fitting is required. STRINGERS AND OTHER LONGITUDINAL ITEMS. 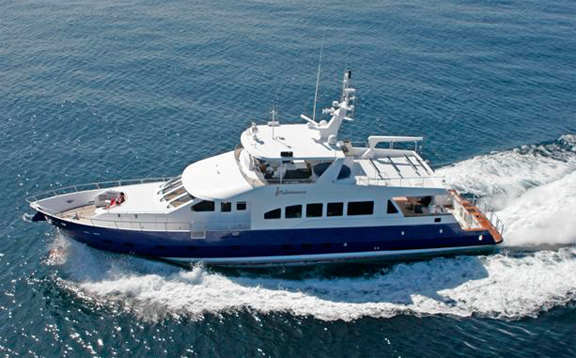 We recommend that you order all the profiles belonging to the hull; deck and superstructure as per the lists included and that these are supplied in sufficient quantity usually in factory lengths of 6 M / 20 ft, and in the case of steel profiles that these be coated with factory applied Sigma weld MC welding primer. Openings for windows and doors can be cut or only marked as per the builder�s preference. The main bulkheads are included in the cutting files and the drawings are included in the plans showing the stiffeners and are in accordance with classification rules and safety regulations. Details of the cold forming of plate parts are included where this requirement forms part of the design. Basic engine foundations are integrated into the cutting parts and assembly details. Included in the cutting files is a Setting up jig that incorporates the correct shape of the hull plates. The jig can be used as building jig for the entire hull after reinforcement plus there is an extensive building manual including detailed drawings, parts list and welding instructions. We use in our designs either ABS or the Germanischer Lloyd rules for category 1 (unrestricted sailing area), which is much better than what CE-A (Europe) and other Classification Societies require. It is important that the construction, stability and other calculations are in accordance with prevailing classification society that may prevail in your area, so we are pleased to say that this factor is an important part of the preparation of any Bruce Roberts set of construction plans and cutting files.